Planning an outdoor wedding can be the perfect way to incorporate your love of the wilderness into your special day. 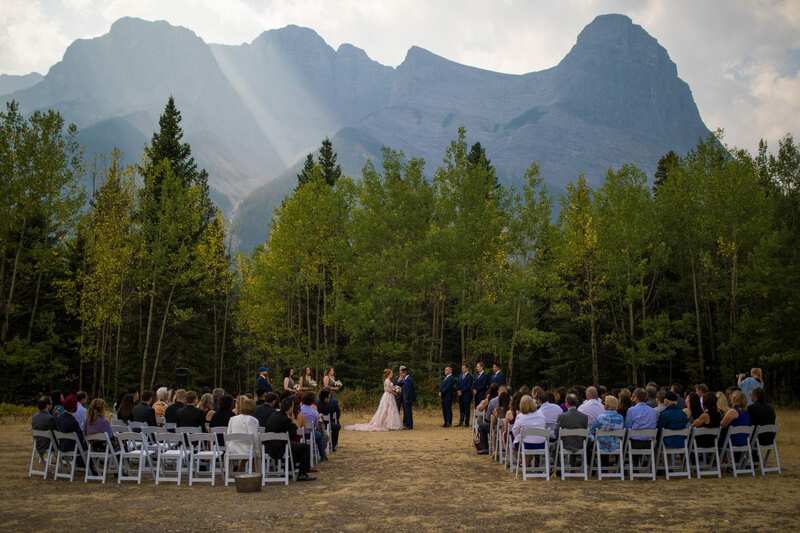 For those who are captivated by the stunning natural beauty of the mountains, Canmore, Alberta is an ideal spot to exchange vows. Surrounded by the soaring peaks of the Three Sisters, Canmore treats couples to the charm of the Rocky Mountains while also allowing them to avoid the hustle and bustle that may be associated with larger towns like Banff or Jasper. Cornerstone Weddings’ experienced coordination team makes planning your dream outdoor ceremony a breeze. Learn more about sharing your big day with Cornerstone below! Rundleview is a semi-private grassy area, and a favourite amongst Cornerstone couples! Suitable for up to 200 guests, the space is lined by trees that add a secluded intimate feel, as well as shade on hotter summer days. With roadside parking, Rundleview is easily accessible for guests, and treats you to view you’re sure to love! 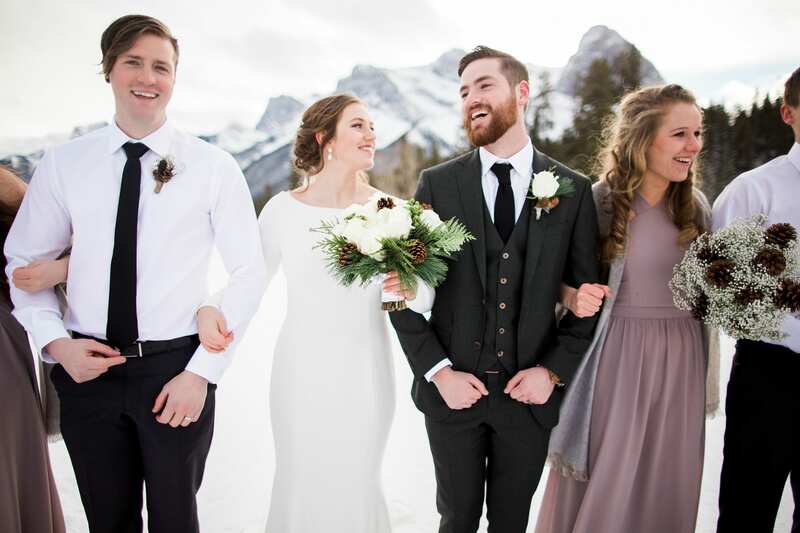 As an exclusive to Cornerstone Weddings, Canmore Ranch is a fantastic venue for couples wanting to ensure they have a private, rustic feel for their ceremony. With space for up to 200 gusts, the venue features stunning mountain views, as well as full service bathrooms and ample parking for the convenience for all guests. Available for couples also booking their reception with Cornerstone Theatre only. 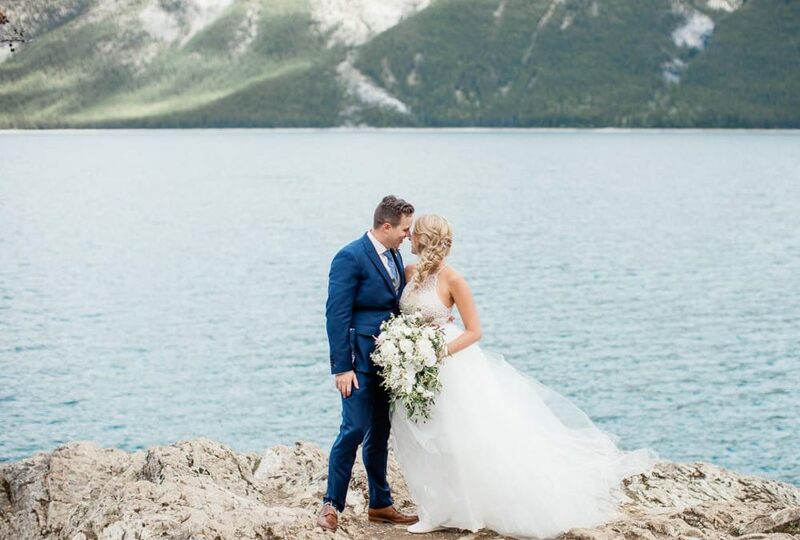 To book your dream ceremony and reception in the Rocky Mountains, contact our team today!